Most churches in America have organized as "501c3 tax-exempt religious organizations." This is a fairly recent trend that has only been going on for about fifty years. Churches were only added to section 501c3 of the tax code in 1954. We can thank Sen. Lyndon B. Johnson for that. Johnson was no ally of the church. As part of his political agenda, Johnson had it in mind to silence the church and eliminate the significant influence the church had always had on shaping "public policy." Although Johnson proffered this as a "favor" to churches, the favor also came with strings attached (more like shackles). One need not look far to see the devastating effects 501c3 acceptance has had to the church, and the consequent restrictions placed upon any 501c3 church. 501c3 churches are prohibited from addressing, in any tangible way, the vital issues of the day. For a 501c3 church to openly speak out, or organize in opposition to, anything that the government declares "legal," even if it is immoral (e.g. abortion, homosexuality, etc. ), that church will jeopardize its tax exempt status. The 501c3 has had a "chilling effect" upon the free speech rights of the church. 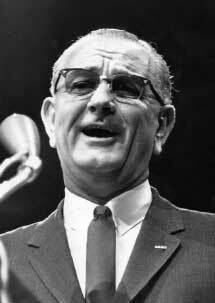 LBJ was a shrewd and cunning politician who seemed to well-appreciate how easily many of the clergy would sell out. Did the church ever need to seek permission from the government to be exempt from taxes? Were churches prior to 1954 taxable? No, churches have never been taxable. To be taxable a church would first need to be under the jurisdiction, and therefore under the taxing authority, of the government. The First Amendment clearly places the church outside the jurisdiction of the civil government: "Congress shall make NO LAW respecting an establishment of religion, nor prohibiting the free exercise thereof." Does the law require, or even encourage, a church to organize as a 501c3? To answer that question let's turn to what the IRS itself has to say. Churches, interchurch organizations of local units of a church, conventions or associations of churches, or integrated auxiliaries of a church, such as a mens or womens organization, religious school, mission society, or youth group. These organizations are exempt automatically if they meet the requirements of section 501(c)(3). "I am not the only IRS employee whos wondered why churches go to the government and seek permission to be exempted from a tax they didnt owe to begin with, and to seek a tax deductible status that theyve always had anyway. Many of us have marveled at how church leaders want to be regulated and controlled by an agency of government that most Americans have prayed would just get out of their lives. Churches are in an amazingly unique position, but they dont seem to know or appreciate the implications of what it would mean to be free of government control."